M4 Mehta's w Israeli Phil. As a short cut, I might suggest a budget priced boxed set. Russ recommended the Bertini, which is indeed fine overall. Personally, I would choose the re-released Lennie/Sony (Carnegie Hall) box set for the same $50-$60. I actually prefer Chailly or Lennie's DG set to either of them -- although I think both are much more expensive. Do you mean Edo de Waart/NRPO/RCA M9th?? Yeah, that's a pretty decent, sometimes excellent recording. Welcome to the forum! I also have frequented Vinyl Asylum. There's plenty of great Mahler on LP and CD. Let us know what you end up enjoying! we all have mahleria here. Thanks everyone for your recs. Here's what I've found on LP recently, and after that what I got off emusic last night. I've listened to Kubelik's M5 and parts of Barbirolli, and still prefer Bernstein's first recording overall, he just seems to get the expressions right, to my ear. ALso, the tempo on the first movement feels too slow even on the Kubelik, certainly on the Barb. I realize it's a funeral march, but shouldn't the musical sense dictate how slow one walks? Soundwise of course the Barb is lovely, very open wide soundstage. I've only had a chance to listen to the Fischer M2 so far, just the first movement, and though I like his conducting, the sound really pales in comparison to the Kubelik on vinyl, which is to be expected I guess. One more thing, which of the Gergiev's do folks like, as I can get them off emusic too. Any recent M3s I should definitely listen to, it's the only symphony I don't have a performance of yet. the sound really pales in comparison to the Kubelik on vinyl, which is to be expected I guess. I assume that if you are collecting vinyl, you're doing it for audiophile reasons. As such, I would suggest avoiding MP3's entirely -- and get yourself an SACD player! The Fischer on SACD is spectacular in terms of both performance and sound!. I assume that if you are collecting vinyl, you're doing it for audiophile reasons. I'm not a fan of Gergiev's Mahler though have only heard a couple - of recent M3s I'd try Boulez and MTT (the latter more interventionist). Absolutely! I think this one is sorely under-rated. To my ears, it does just about everything well. I love Waart's flexibility and choice of tempi throughout. He does a nice job of bringing out inner detail. The R-B is furious (if not quite Lennie/RCOA). The finale is thankfully a bit brisker than some others (a bit over 25' IIRC), but is not one of those 22' run-throughs that seem to miss the point. The lower brass are spectacular at the climax of the finale (in fact, much better than any of the others I've listed). I could probably list several other favorites that I missed (OK I could do that for any of the symphonies if I looked at my collection): Ozawa/SKO, Lennie/RCOA, Levine/Philly, Eschenbach/NDRSO, MTT/SFSO, Dohnanyi, Lopez-Cobos. We Mahlerians sure live in good and plentiful times! Obviously, there are a lot of solid recommendations here. Equally obvious, is the fact that it's better, in the long run, to buy piece-meal (sp?) than to get a box set with everything. But that also means that you have to discover your own likes and dislikes. It takes time to do it right. It's for these reasons that I'm whole-heartily (sp?) endorsing the box set of symphonies 1 -9 (plus a very good "DLvdE") with Gary Bertini/Cologne Radio Sym. Orch. on EMI. It's a great bargain! The performances and sound quality are very consistent from start to finish. Interpretively - for a lack of a better subjective description - I would say that Bertini's conducting falls right in the middle between the extremes of Boulez and Bernstein. He has the cleanliness and fastidiousness of Boulez, coupled with the heaven-storming enthusiasm of Bernstein. Das Klagende Lied: I wouldn't pay the big bucks to get the MTT/SFSO version on the SFSO's own label. The cheaper RCA version - same exact recording! - is still available at a much cheaper price. 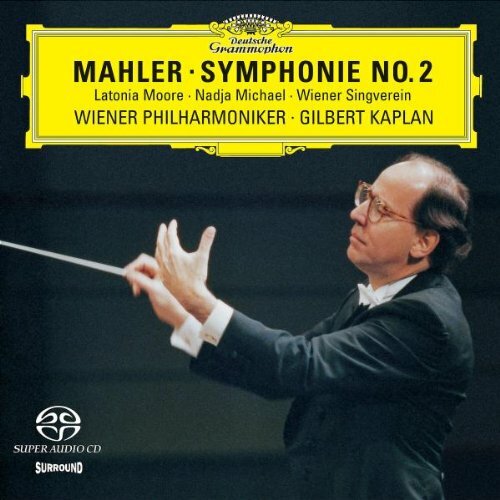 Des Knaben Wunderhorn: Do not side-step this work, as it will greatly enhance your understanding and enjoyment of Mahler's first four symphonies. I agree with Klaus Tennstedt's assertion that Mahler 8 is something of a throw-back to Mahler's earlier "Wunderhorn" style (but with a re-write of the "Resurrction" symphony's ending). I would seek out either the old CBS recording with Bernstein (Walter Berry/Christa Ludwig), now out on Sony, or get the much more recent Chailly/Concertgebouw one on Decca. In spite of the stellar cast, the Abbado one (DG) is a total snooze. The three shorter song cycles: Songs of a Wayfahrer/Kindertotenlieder/5 Ruckert Lieder. Again, I would not pass these over. There are quite a few discs that have all three together. The recent Boulez/VPO one is excellent, and employs three different singers. Janet Baker/John Barbirolli (EMI) is a very solid recommendation as well. M10 (complete): This is assuming, of course, that you're not philosophically opposed to the idea of finished "performing versions" of the 10th symphony even existing. Choosing an M10 is much more a matter of personal taste, as Mahler left very few tempo indications; dynamic markings; phrase markings, etc. The range of interpretative differences are far greater here than with most other Mahler works. Just let your own curiosity be your guide. If I had to pick just one from the many Deryck Cooke versions, it would be the Noseda/BBC Phil. one on Chandos. Others may feel differently, but I like Noseda's tempo relationships the best. I also really like the 1960's Ormandy/Philly one on Sony. --Kaplin M2, with improved sonics over the MCA CD. For CD and SACD...The Bertini Cycle is my top cycle. Actually the MTT Cycle is a tie for my tastes. The third big climax in the first movement is like a Tsunami...not over exaggerated but sounding deep, stretched and allowed to spread, like a wave rising and travelling over land for miles...the timpani that thunder after this climax are shattering...I was so happy to hear this done right. It is interesting to hear Rattle's concept develop, and great to hear how better his vision is accomplished this time around (in comparison to a broadcast recorded near the time this performance). The detailed execution of the Landler brought out dark textures and urban-like sophistication to complicate the country landscape. I was more than impressed with the last two movements...especially the Rondo with the detail in the recording, and the Adagio reminds me of Lenny's RCO but with pristine sound...in all the movements the strings, from basses to violins are captured in all their textured richness. The counterpoint in the Rondo is illuminating because the various instruments are so well heard...great detailed natural sound in the basses and brass. There are no strange tempo indulgences in the whole work, rather Rattle's conception coincides with Mahler in spirit, therefore his interpetative choices make emotional and musical sense for the whole Symphony. Simply has everything I want in an M9...very strong climaxes, beautiful and thoughtful pacing with contrast between the various sections, great low brass, thundering timpani, a HUGE tamtam sound in the third climax but balanced with the low brass (seriously, the main climax takes my breath away). Every movement has depth and passion, with great instrumental detail and nuanced playing. The recorded sound is very natural. In many ways this is my dream M9. Like Neumann's CPO M9, this Andante Comodo feels rather sorrowfull, quiet and resigned, with sudden upheavals of exhalation with a resistance that sounds heavy with burden. This heaviness appears to lift as each movement progresses, until the Adagio finally dissapears into nothing with no struggle into the surrender. I was really effected by the "twilight" atmosphere that seemed to manifest from the orchestra and interpretation...this could also be the sound of the hall or the sound of the orchestra in general, I'm not sure. The SFSO, however, are magnificent and a highlight of this recording. This M9 really took me by surprise...what a moving experience in every way. I saw Hurwitz's review and agree with the 9/9 rating, although, besides the poorly heard timpani in one section of the Rondo, I feel the sound could even be a 10 rating overall, the clarity and production are very fine. I also read Annie Ozorio's review on Musicweb, and she quoted Alban Berg's statement that the Andante Comodo "expresses an extraordinary love of this earth, for Nature; the longing to live on it in peace, to enjoy it completely, to the very heart of one's being". I agree that MTT's rendition of the Andante Comodo (as well as his execution of the whole work) relates to Berg's quote rather well. All the climaxes are shattering with the low brass powerful and easily heard. The scherzo soars with powerful pastorale winds, rustic landscapes and dances with captivating strides. The Rondo has great energy, color and contrast, its twists and turns are very uplifting and exciting. The excellant sound catches every line of the Rondo as the music breathes and rotates. The Adagio is on the level of Bernstein's BSO account, and a beatitude occurs in this performance...an ultimate surrender taken with peace and bliss. Macal's Prague M9 is so different to this...he has changed his concept even more in the first movement. His new M9 has superior sound, and is actually among the best sounding M9's I've heard. The lower end of the orchestra is very detailed. The first movement has never sounded so rich and dark, like a deep ocean with vast mystery. I particulary focused on the lead in and actual rendering of the 3rd Climax in the first movement...Macal stretches it out and all the parts are well heard in better balance than most recordings (and the tam tam doesn't cover up everything else), and the A flat in the horn is brilliantly shown in the foreground for once, coloring this whole passage in a new way, also highlighted by the deep dynamic range. In the other three movements his interpetation seems to suggest a letting go with each movement, or there is a feeling of more objectivity as each movement passes. In any case, the CPO are a joy to witness. There is a kind of "line" Karajan holds throughout the course of the performance that keeps me on the edge of my seat all the way though the work. The overall tone is mystical, objective and all the more devasting for it's unflinching progress. I've never heard anything like it, except from Karajan's braodcasts of the M9...each has this same quality, and the 1st studio recording as well).